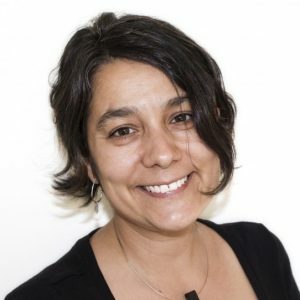 Dr. Gabriela Aceves Sepúlveda is an interdisciplinary media artist and cultural historian with a research focus on Latin American feminist media and contemporary art and design history and practice. Working at the intersections of video and performance, she uses video and multimedia installations to explore the social, political, and cultural structures that shape our sense of self. Her research on the role of feminism(s) in the development of Mexico’s mediascapes after 1968 was awarded the 2015 John Bullen Prize from the Canadian Historical Association, which honours an outstanding PhD thesis on a historical topic submitted to a Canadian university. Her current research examines the effects of digital technologies on the archival practices of female activists and artists across the Americas and traces the histories of transnational artists’ networks forged outside the dominant centres of the western art world during the second half of the twentieth century. She is an Assistant Professor at the School of Interactive Arts and Technology at Simon Fraser University where she leads the Critical MediArtStudio (cMAS), which shares space with the Making Culture Lab.